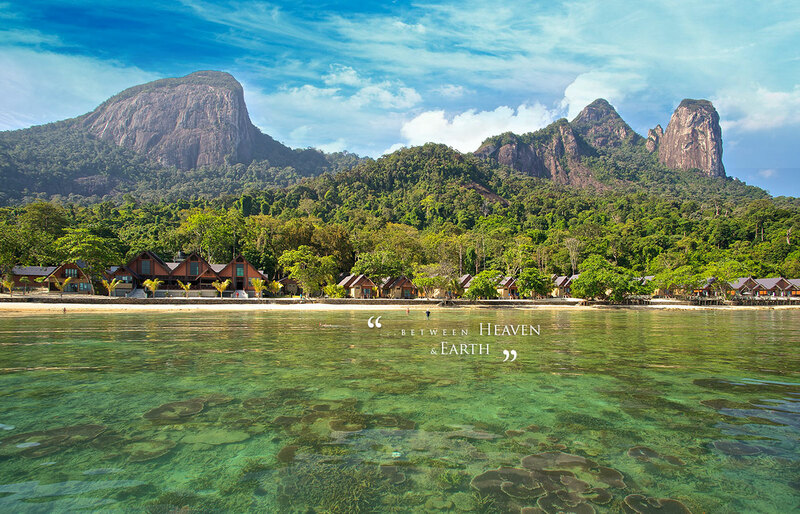 In the 70s, TIME Magazine selected Tioman Island as one of the world's most beautiful islands. Tioman Island located in the South China Sea, is a small tropical island 32 km off the east coast of Peninsular Malaysia in Pahang state. The Island is only 39 km long and 12 km wide. Most of the resorts are located on the east and on the south side of the island, the largest village and most populous is Tekek in the north. The densely forested island is sparsely inhabited, and is surrounded by numerous coral reefs, making it a popular snorkeling and scuba diving destination. 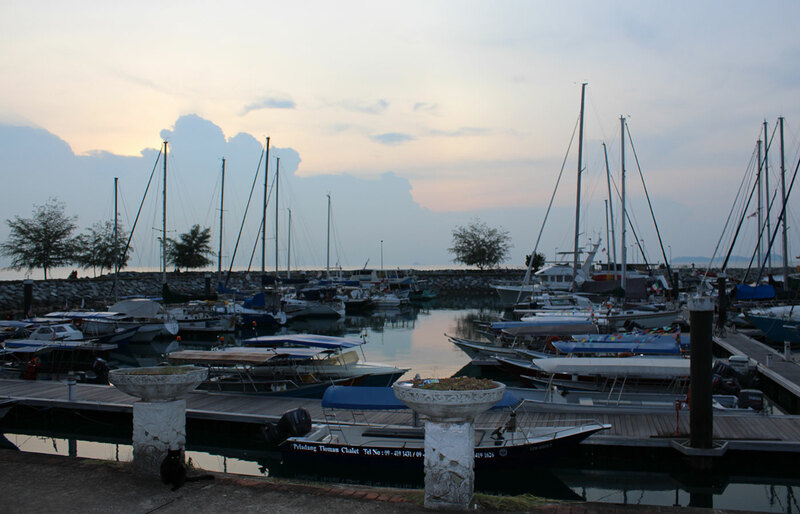 There are also many very nice beach resorts and bungalows around the island, In Tekek village there is a Duty-free store (Tioman is a duty-free zone), a small marina, a golf course and the airport is also located here. The marine area around Tioman Island and eight other nearby islands have been declared as marine parks and marine reserves and fishing is not allowed within two nautical miles of the Tioman coast, this is to protect the breeding areas and the corals from mostly the commercial fishing fleet. Apart from its diverse marine life, the inland rainforest area was protected in 1972 as the Pulau Tioman Wildlife Reserve and the interior of Tioman Island got a pristine tropical jungle with many jungle treks you can explore when not out fishing. The island is served by ferries from the Malaysian mainland, with departures from Mersing and Endau (Gemok) The Ferry is 30 Ringit one way plus 5 Ringit for the national park fee. There is also a propeller plane service by Berjaya Air from Kuala Lumpur. 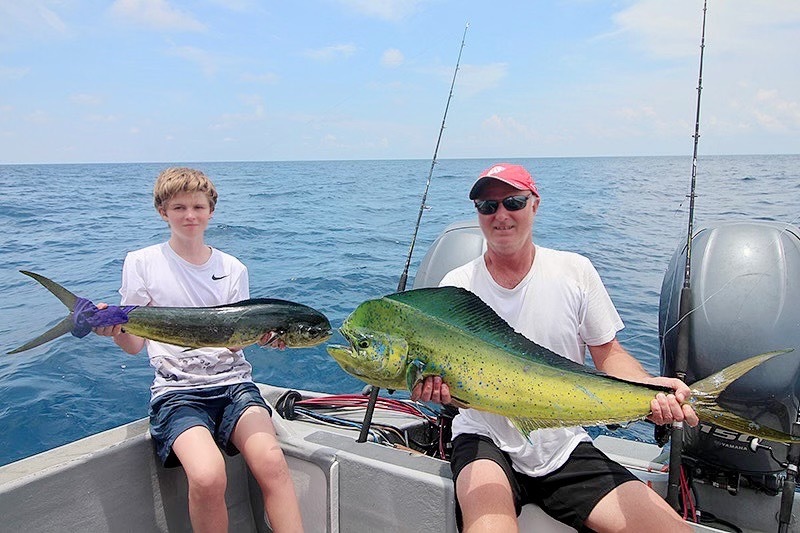 Tioman Island is a fantastic holiday destination if you want to combine game fishing for Sailfish, Dorado, King Mackerel and Black Marlin with a tropical beach holiday. 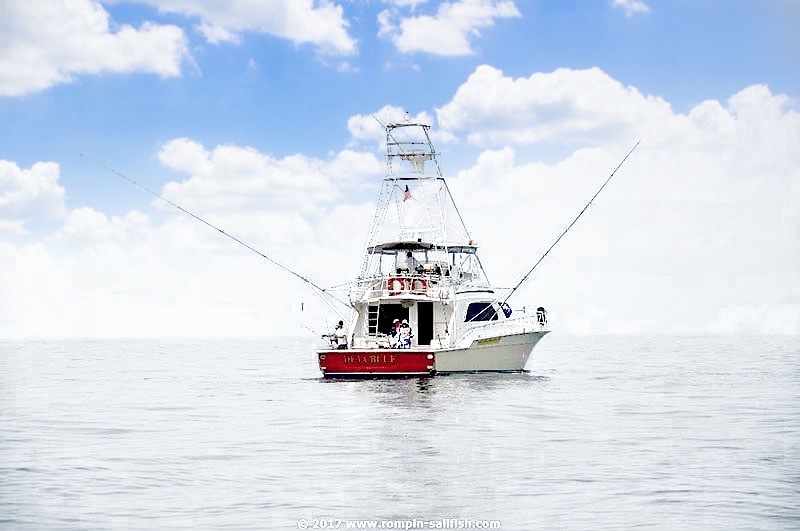 Tioman Island also offers anglers a range of light jigging and bottom fishing for various species. 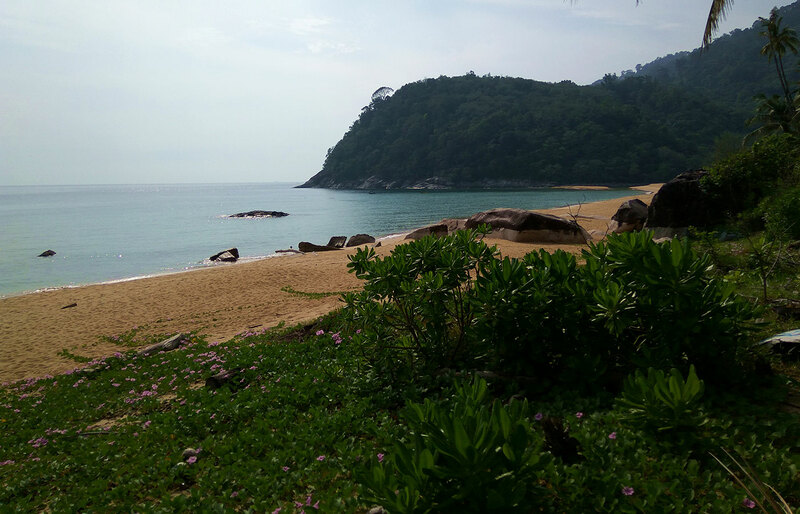 Tioman Island is a very safe place to visit for you and your family, street crime is non-existent and the locals are very friendly, the Tioman beaches are of world-class and the local food is some of the best you will ever eat. 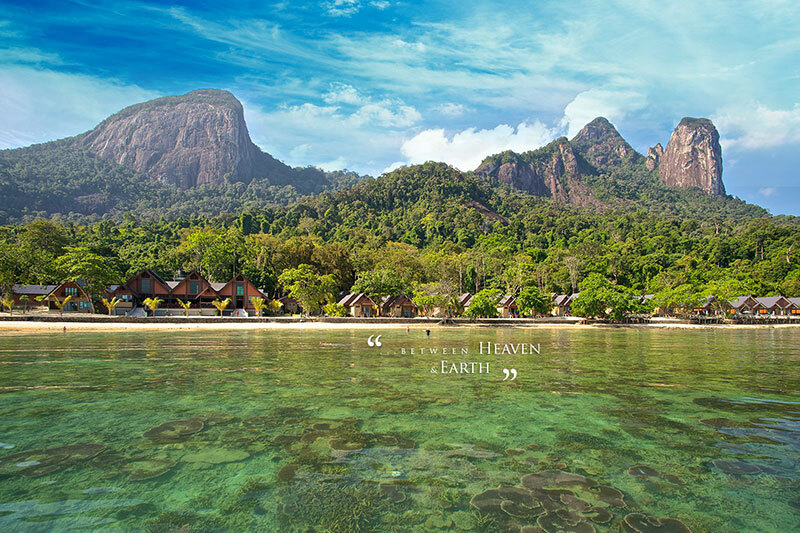 There are many very nice beach resorts on Tioman, Tunamaya and Japamala are our recomended top-end resorts on Tioman. If you are looking for an inexpensive resort on Tioman, the Cheers Bungalows and Selesa Tioman Apartment are good value for money. Many of the beach front resorts on the island got their own jetties, so you can be picked up in the morning by our boats just in front of your resort and dropped off there after the fishing trip. East of Tioman Island, the waters are deeper and here you often find nice size Dorado and Black Marlin (50-250 lb size) during the full moon and new moon period, there are many Fish Aggregating Devices (FADs) in the area that holds a lot of Dorado, Sailfish, King Mackerel and other game fish species and we normaly catch or live bait in the morning around the FADs. 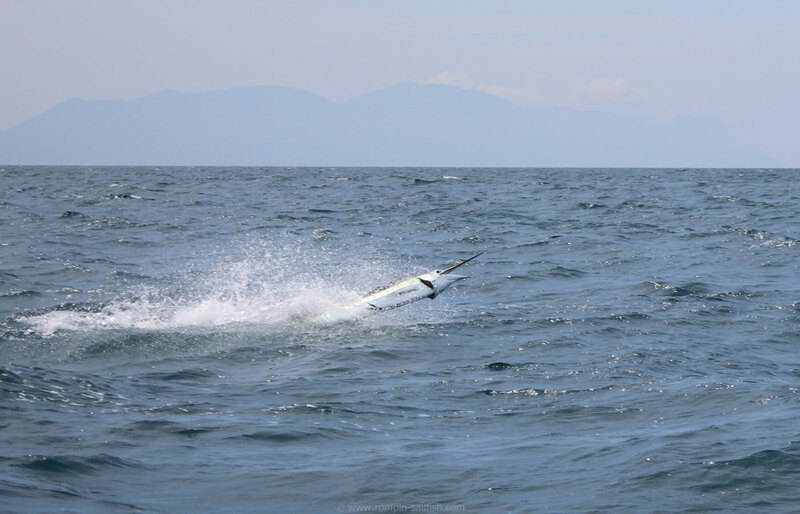 The distance to the Sailfish areas from Tioman Island is almost the same as from Kuala Rompin, and you often find bigger fish (60-100 lb size) here in the beginning of the season. 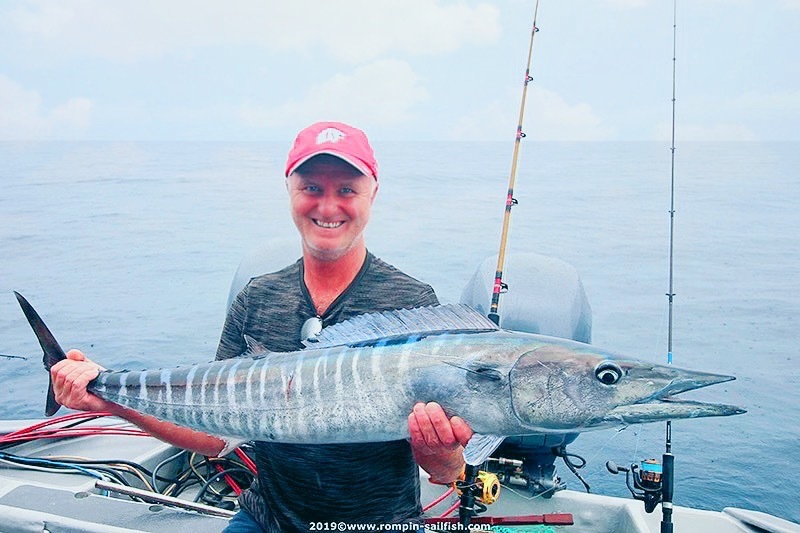 South of Tioman at Palau Aur and Palau Pemanggil the fishing for Narrow barred King Mackerel and Black Marlin is good and also bottom fishing and jigging for other species is an alternative to the game fishing action. Tioman Island day charters are priced at 1060 USD for a private charter for the 2018 season, minimum charter duration 2 days. To confirm any dates we need a 50% deposit, the balance is to be paid in cash before departure. If you for any reason can not come we will book you in for another available date without any extra fees. We accept PayPal and TT bank transfers for the deposit payment, (PayPal and bank transfer fees is not included in our rates). 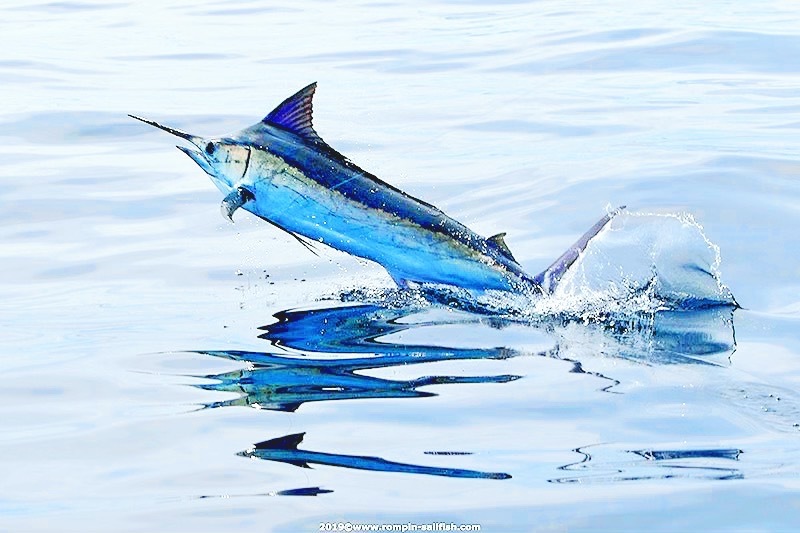 VIP Marlin - Sailfish - Dorado package: 4 days fishing - 4 nights accommodation at the 4 star Tunamaya Resort. Cost for 2 anglers: 5660 USD cost for 3-4 anglers: 6610 USD. 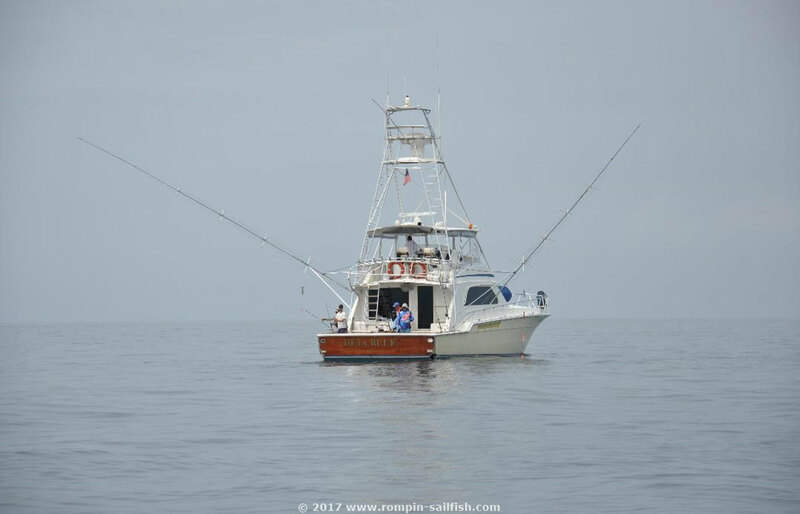 We also got a fully equipped luxorious Bertram 60 available for both day trips and multi day charters out of Tioman Island during the Sailfish season. Please contact us for more details.